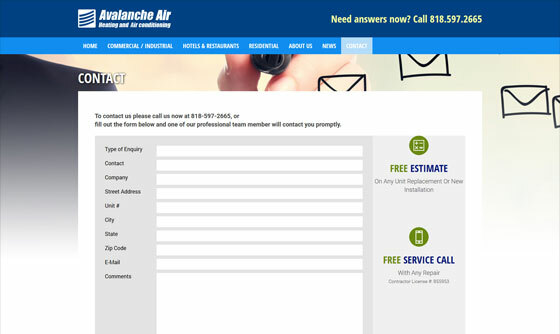 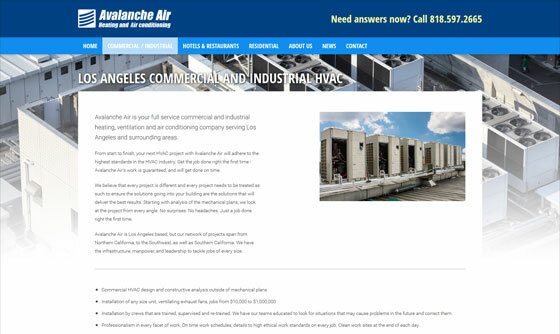 Avalanche AC is a heating and air conditioning service, installation and design company servicing the los angeles county. 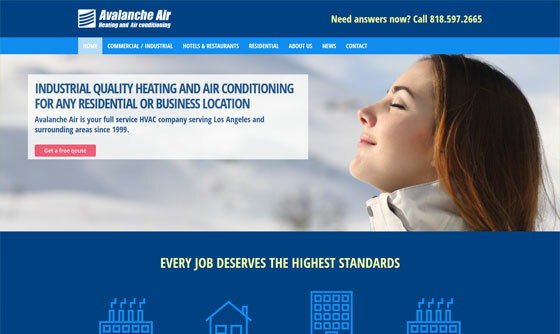 In this project we upgraded their system to our customized content management solution, created a brand new look and provided search engine optimization work. 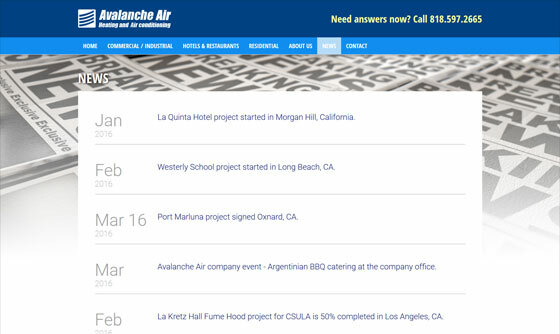 IBCnet CMS, ASP.net, MSSQL2012, HTML5, CSS and Java.